Protects rubber tracks from abrasions made by steel tipped cleats and tire "black marks" from field tractors. Made from a lightweight and tough PVC polyester fabric. Allows water to seep through. Will not waterlog or stick to track surface. 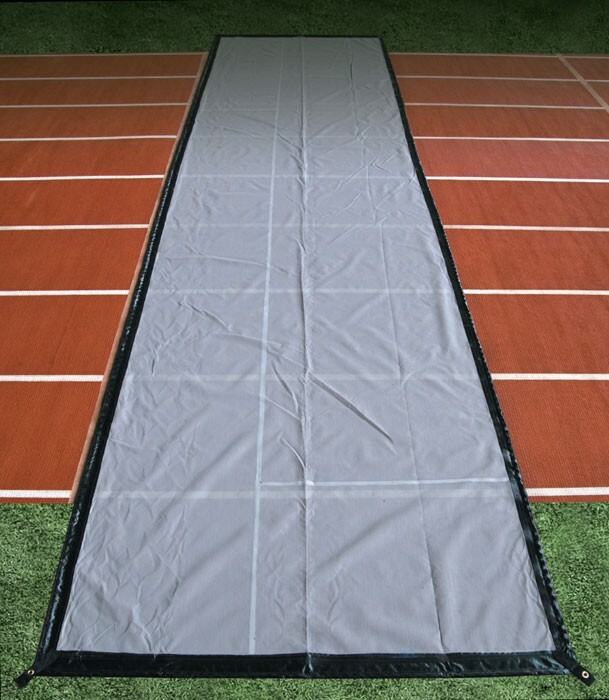 The perimeter edge is weighted with a galvanized steel chain that keeps the tarp from puckering or curling up and becoming a tripping hazard. Eliminates need for anchor nails or stakes. Easy to roll up when not in use. Available in three different sizes. Color: Gray with Black edging.